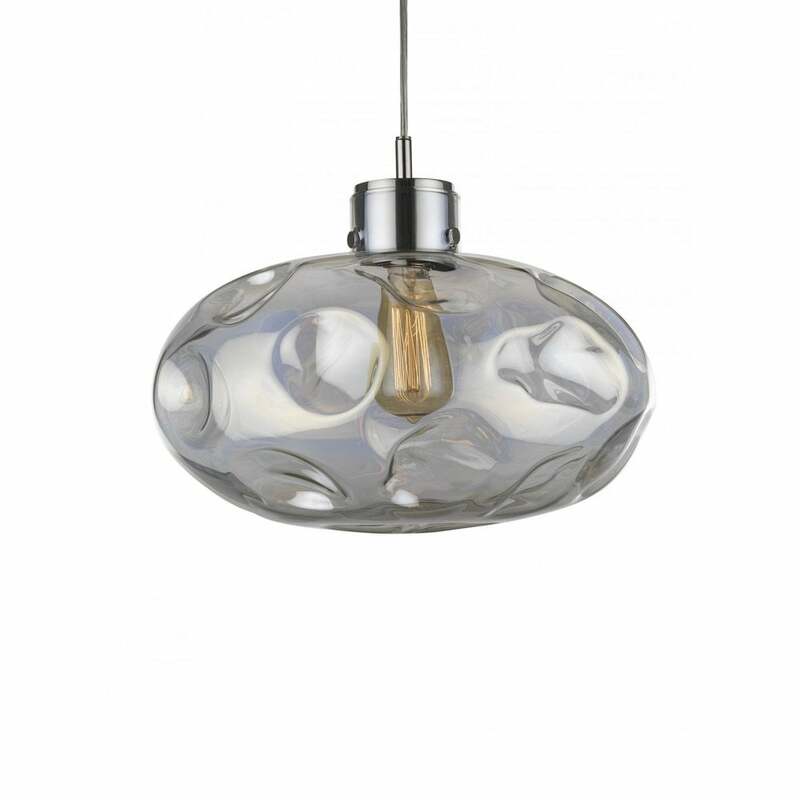 Expertly formed by skilled craftsmen, the Leoni Pendant by Heathfield & Co is created from borosilicate glass. The organic shape and unique patterns are made using flames to distort the oval form. Striking on it's own, the pendant light can also be combined together to create an elegant lighting installation. Available in four contemporary colourways - Smoke, Lustre, Amber and Opal Jade. Keep simple and elegant in the lustre hue, or mix together the to create a stylish display. Also available as a wall light. Make an enquiry for more information.